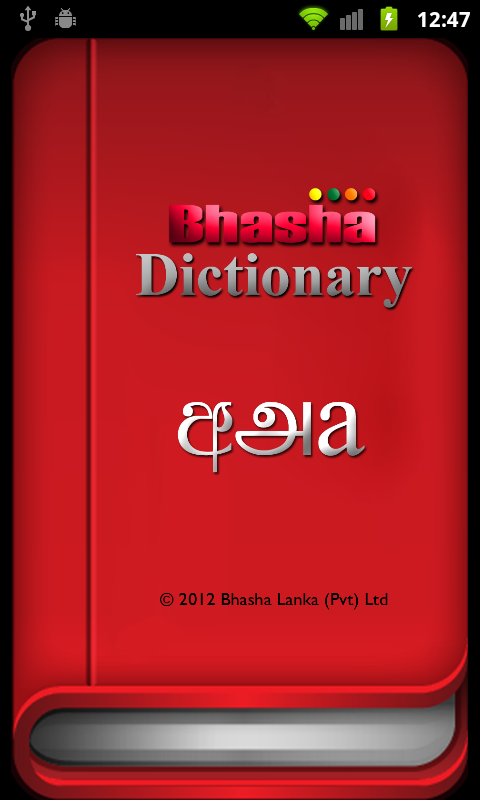 Bhasha Official Blog: Bhasha launches Official Bhasha Dictionary app for Android in partnership with LTRL! Bhasha launches Official Bhasha Dictionary app for Android in partnership with LTRL! 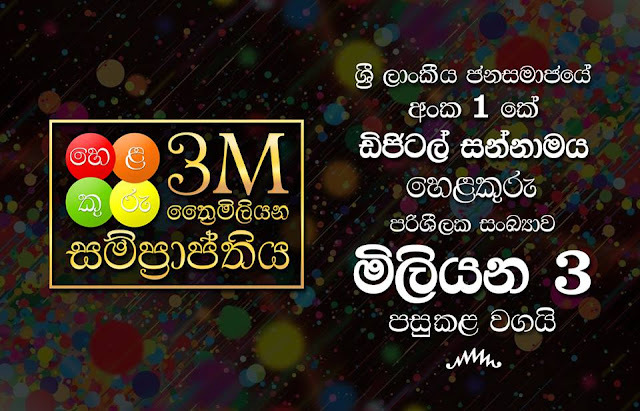 Bhasha wishes you a Happy Sinhala & Tamil New Year & we are so glad to announce you our New Year Gift for you. As the pioneers in local language mobile development in Sri Lanka, Bhasha empowered you with international standard quality mobile apps in local languages. Starting with SETT Browser, the revolutionary Sinhala/Tamil mobile app that eliminated all the limitations in local language IT development in Sri Lanka, Bhasha offered you Bhasha Helakuru, Bhasha Puvath & Bhasha Viyunu to further empower you, the Sri Lankan Masses with digital media. Continuing our journey, Today we're glad to announce the launch of our 5th local language mobile app, Bhasha Dictionary in partnership with Language Technology Research Laboratory, University of Colombo as Sri Lanka's Official Sinhala-English-Tamil Dictionary app for Android. Bhasha Dictionary provides you online/offline dictionary service for English to Sinhala word translations & online dictionary service for Sinhala to English word translations. 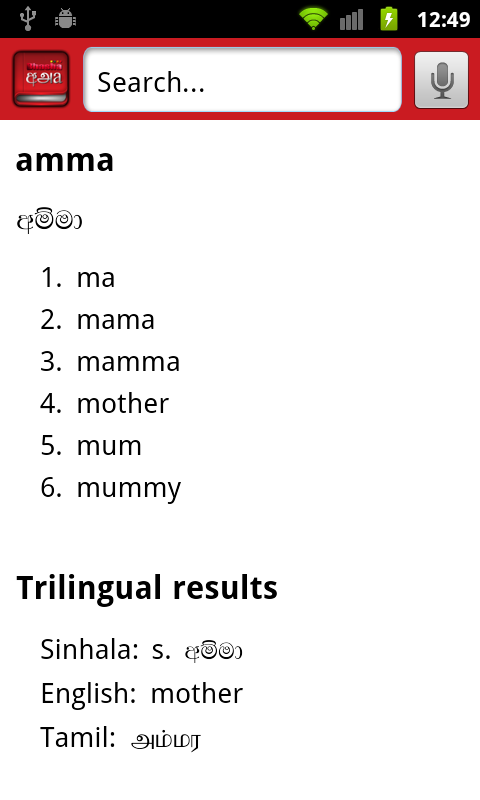 Online dictionary also provides you trilingual search results in Sinhala, Tamil & English when available. We use Official Dictionary databases of Language Technology Research Laboratory, University of Colombo School of Computing, Sri Lanka to provide you accurate word translations. 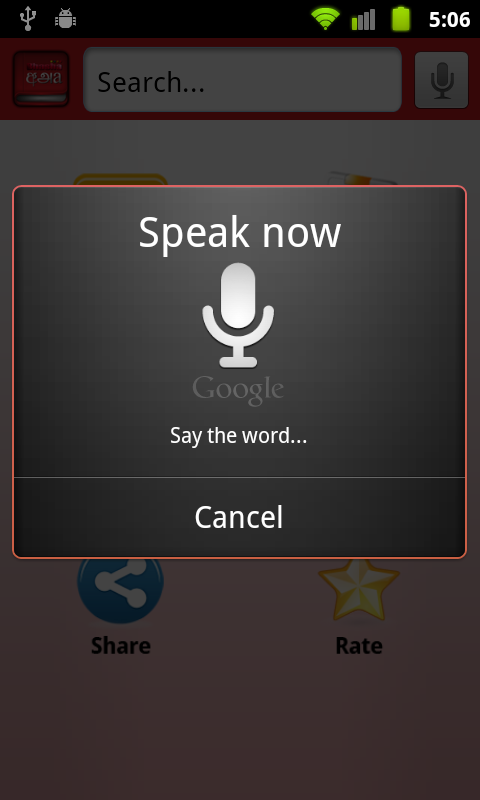 Bhasha Dictionary also supports Voice Search, so that you can just say the English word & get the Sinhala translations in seconds without even wasting time to type the words. 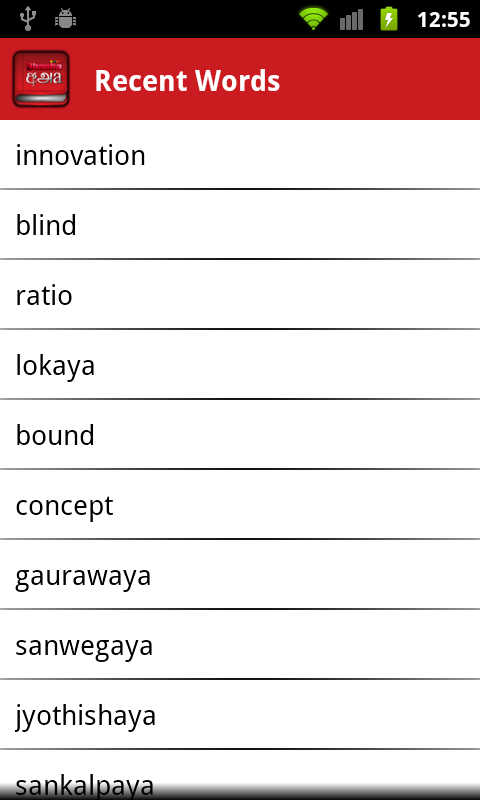 Bhasha Dictionary Android app is just another accessible method of our Award Winning centralized e-Dictionary. We're really happy that we were awarded for this product even before we make it available for Android. You can also use our other accessible methods; SMS, Chat, Web by visiting our website of Bhasha Dictionary, http://dictionary.bhasha.lk. We would like to offer our special thanks to Language Technology Research Laboratory, specially to its Head, Dr.Ruvan Weerasighe for coming into a partnership with Bhasha to share their valuable dictionary databases with us.in order to serve the nation in a better way. Hope this new product will be a Awesome New Year Gift for you!